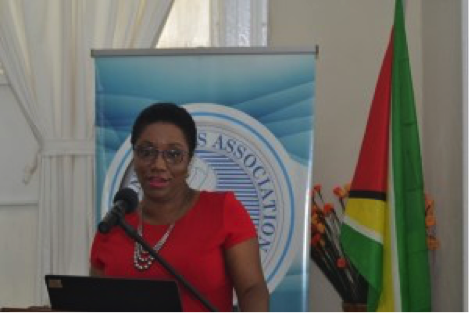 Chief Executive Officer of Creditinfo, Judy Semple-Joseph says the credit bureau, popularly known as Creditinfo (Guyana) Incorporated, is here to help citizens make informed financial decisions rather than to work against anyone. Semple-Joseph yesterday made this declaration during the Guyana Press Association’s Lunchtime Lecture at Moray House, Georgetown. The CEO said that many people are not aware of the works of Creditinfo and would find themselves blaming the credit agency for them being denied a loan. She reminded that all lending agencies are mandated by law to share all credit data with the credit bureau. Semple-Joseph emphasised that whatever information Creditinfo has on an individual is based on their financial behaviour over a period of time. Some of the advantages of knowing your credit score, according to the CEO, are having faster and broader access to credit, it prevents over-indebtedness and encourages responsible borrowing and brings stability to the financial sector. The credit bureau was established in 2013 and operates under the Credit Report Act of 2010 and the Credit Reporting [Amendment] Act of 2016. It is an independent organisation that collects, stores and organises credit information about consumers and businesses. Information is sourced and collected from lenders such as banks, credit unions and microfinance organisations, as well as providers of various alternative types of credit such as hire purchase companies, telecommunication companies and utility companies such as Guyana Water Inc. and Guyana Power and Light Company. 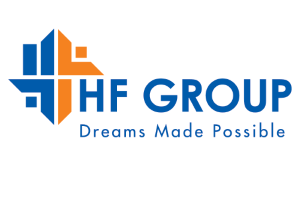 The Housing Finance Company in Kenya have introduced mobile lending this summer and chose to use Creditinfo’s Instant Decisions as the one and only decision-making tool. They chose an in-house installation back in June and then, after several weeks of consultancy and strategy design project, we have come together with the customer to the point where we have a very complex strategy with 3 different Credit Limit Allocation matrices, matching competition’s limit and limit allocation as a function of previously received loans. After successful pilot in July, August they opened it for a wider population, and just recently, in November, to the entire Kenyan population, through all channels – iOS, Android and USSD – and they had a big marketing campaign for USSD customers that had its apogees last week, starting November 18th 2018. This is a great success story of what Creditinfo can do in terms of decision analytics, backed up by a strong, yet extremely flexible, technical tool such as Instant Decisions!